THIS TOPIC CAME RIGHT OUT OF LEFT FIELD. I HADN'T BEEN THINKING ABOUT INDIANS AT ALL TODAY. BUT I HAD JUST HEARD A CHANNELED MESSAGE FROM MALCOLM BELL IN AUSTRALIA FROM HIS SPIRIT GUIDE ARANUTH, WHO GAVE A MESSAGE ABOUT FINISHING ONE'S LIFE MISSION AND DO IT WITH LOVE. Ravenshoe on Friday the 28th of March. 4-1-14 - DREAM - I was downtown somewhere downtown near where I live . I was at an cross intersection near where my kids were playing in the street. I told the kids they had to be home in 15 minutes because it was starting to get dark out. While I was standing on the corner of the street, Greg, our ex- landlord was driving by and whipped around the corner really fast and his car hit my hand right on the thumb. He got all upset and went to get his lawyer to make sure I didn't sue him for neglect for hitting me, but my thumb only hurt for a minute and then stopped. It wasn't even bruised. I continued on home and walked through a mall area where a lot of people were sitting around tables at some kind of auction or lecture or something. Greg's sister just happened to be sitting in the same aisle that I was walking through, and some of her family was also there. She recogniZed me and jumped up and hollered over at her family nearby and said loudly so everyone could hear, "Do you know what Greg did? He hit Dee with his car, and then do you know what my other brother did? He went through the stuff the Dee and Joe were throwing out while they were moving and he stole a painting of Seneca from their house." She was so upset about those two things, she couldn't hardly stand it, and she kept walking way really fast, before I could explain that I was okay and wasn't upset. But I really wanted to know about the painting of Seneca. I didn't even remember having it. Here are the web pages I did about Seneca. Cayuga, 1,048, 0.1. Iroquois, 4,327, 0.2. Mohawk, 15,490, 0.8. Oneida, 11,564, 0.6. Onondaga 2/, 1,500, 0.1. Seneca, 9,167, 0.5. Seneca-Cayuga, 1,052, 0.1. Survivors include children, Francis “Pete” Sanders, Seneca, Linda “Kathy” Curry Sonis, Neosho, Mo., and Sally Tidwell, Racine, Mo. ; stepdaughter, Carla Jones, . The Seneca are a group of indigenous people native to North America. They were the nation located farthest to the west within the Six Nations or Iroquois League in New York before theAmerican Revolution. While exact population figures are unknown, approximately 15,000 to 25,000 Seneca live in Canada, near Brantford, Ontario, at the Six Nations of the Grand River First Nation. They are descendants of Seneca who resettled there, as they had been allies of the British during the American Revolution. Nearly 30,000 Seneca live in the United States, on and off reservationsaround Buffalo, New York and in Oklahoma. The Seneca nation's own name (autonym) is Onöndowága, meaning "Great Hill Place." It is identical to the endonym used by the Onondaga people. With the formation of the Haudenosaunee, they settled and lived as the farthest west of all the nations within the league. They were referred to as the keepers of the Western Door. Other nations called them Seneca after their principal village of Osininka. Since "Osininka" sounds like the Anishinaabe word Asinikaa(n), meaning "Those at the Place Full of Stones", this gave rise to further confusion. Non-Haudenosaunee nations confused the Seneca nation's name with that of the Oneida nation's endonym Onyota'a:ka, meaning "People of the Standing Stone." In short, "Oas-in-in Ka" (Seneca) means "Stone Place." The similarity to the name of the Roman statesman Seneca is entirely coincidental. The Seneca traditionally lived in what is now New York between the Genesee River and Canandaigua Lake. The dating of an oral tradition mentioning a solar eclipse yields 1142AD as the year for the Seneca joining the Iroquois (Haudenosaunee). Some recent archaeological evidence indicates their territory eventually extended to the Allegheny River in present-day northwestern Pennsylvania, particularly after the Iroquois destroyed both theWenrohronon and Erie nations, who were native to the area. The Seneca were by far the most populous of the Haudenosaunee Nations, numbering "about four thousand souls" by the seventeenth century. Seneca villages were located as far east as current-day Schuyler County, south into current Tioga and Chemung counties, north and east intoTompkins and Cayuga counties, and west into the Genesee River valley. The villages were the homes and headquarters of the Seneca. While the Seneca maintained substantial permanent settlements and raised agricultural crops in the vicinity of their villages, they also hunted widely through extensive areas. They prosecuted far-reaching military campaigns. The villages, where hunting and military campaigns were planned and executed, indicate clear aboriginal presence and hegemony in these areas. The Seneca had two branches; the western and the eastern. Each branch distinct, they were individually incorporated and recognized by the Iroquois Confederacy Council. The western Seneca lived predominately in and around the Genesee River, gradually moving west and southwest along the Erie and Niagara rivers, then south along the Allegheny River into Pennsylvania. The eastern Seneca lived predominantly south of Seneca Lake in and around current-day Corning. They moved south and east into Pennsylvania and the western Catskill area. The west and north were under constant attack from their powerful Iroquoian brethren, the Huron. To the South, the Iroquoian-speaking tribes of the Andaste (Conestoga and Susquehannock) threatened constant warfare. The Algonkian tribes of the Mohicans blocked access to theHudson River in the east and northeast. In the southeast, the Algonkian tribes of the Delaware (Delaware, Minnisink and Esopus) threatened war from eastern Pennsylvania, New Jersey and the Lower Hudson. Traditionally, the Seneca Nation's economy was based on hunting and gathering activities, fishing and the cultivation of corn, beans, and squash. These vegetables were the staple of the Haudenosaunee diet and were called "the three sisters". Seneca women generally grew and harvested varieties of the three sisters, as well as gathered medicinal plants, roots, berries, nuts, and fruit. Seneca women held sole ownership of all the land and the homes, thus the women also tended to any domesticated animals such as dogs and turkeys. Women were in charge of the kinship groups called clans. The woman in charge of a clan was called the "clan mother". Despite the prominent position of women in Iroquois society, their influence on the diplomacy of the nation was limited. If the "clan mothers" did not agree with any major decisions made by the chiefs, they could eventually depose them. Seneca men were generally in charge of locating and developing the town sites, including clearing the forest for the production of fields. Seneca men also spent a great deal of time hunting and fishing. This activity took them away from the towns or villages to well-known and productive hunting and fishing grounds for extended amounts of time. These hunting and fishing locations were altered and well maintained and not simply left to grow as "wild" lands. Seneca men maintained the traditional title of War Sachems within the Haudenosaunee. 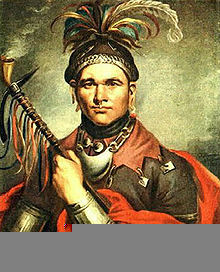 A Seneca war sachem was in charge of gathering the warriors of the Haudenosaunee and leading them into battle. Seneca people lived in villages and towns. Archaeological excavations indicate that some of these villages were surrounded by palisades because of warfare. These towns were relocated every ten to twenty years as soil, game and other resources were depleted. During the nineteenth century, many Seneca adopted customs of their immediate American neighbors by building log cabins, practicing Christianity and participating in the local agricultural economy. During the colonial period, they became involved in the fur trade, first with the Dutch and then with the British. This served to increase hostility with other native groups, especially their traditional enemy, the Huron,] an Iroquoian tribe in New France near Lake Simcoe. The Seneca tried to curtail the encroachment of white settlers. This increased tensions and conflict with the French to the north and west, and the English and Dutch to the south and east. As buffers, the Confederacy resettled conquered tribes between them and the European settlers, with the greatest concentration of resettlements on the lower Susquehanna. (Folts at pp. 33–38). In 1685, King Louis XIV of France sent Marquis de Denonville to govern New France in Quebec. Denonville set out to destroy the Seneca Nation and in 1687 landed a French armada at Irondequoit Bay. Denonville struck straight into the seat of Seneca power and destroyed many of its villages. Fleeing before the attack, the Seneca moved further west, east and south down the Susquehanna River. Although great damage was done to the Seneca home land, the Seneca’s military might was not appreciably weakened. The Confederacy and the Seneca moved into an alliance with the British in the east. (Houghton at 244). In and around 1600, the area currently comprising Sullivan, Ulster and Orange counties of New York was home to the Lenape Indians. The Lenape nation was Algonkian-speaking and made up of the Delaware, Minnisink and Esopus tribes. These tribes would later become known as the Munsees. (Folts at pp 32) The Munsees inhabited large tracts of land from the middle Hudson into the Delaware Water Gap, and into north east Pennsylvania and North West New Jersey. The Esopus inhabited the Mid-Hudson valley (Sullivan and Ulster counties). The Minnisink inhabited North West New Jersey. The Delaware inhabited the southern Susquehanna and Delaware water gaps. The Minnisink-Esopus trail, today’s Route 209, helped tie this world together. To the west of the Delaware nation was the Iroquoian-speaking Andaste/Susquehannock. To the east of the Delaware Nation lay the encroaching peoples of the Dutch New Netherland. From Manhattan, up through the Hudson, the settlers were interested in trading furs with the Susquehannock in and around current Lancaster, Pennsylvania. As early as 1626, the Susquehannock were struggling to get past the Delaware to trade with the Dutch in Manhattan. In 1634 war broke out between the Delaware and the Susquehannock, and by 1638 the defeated Delaware became tributaries to the Susquehanna. The Confederacy to the north was growing in strength and numbers, and the Seneca, as the most numerous and adventurous, began to travel extensively. Eastern Senecas traveled down the Chemung River to the Susquehanna River. At Tioga the Seneca had access to every corner of Munsee country. Seneca warriors traveled the Forbidden Path south to Tioga to the Great Warrior Path to Scranton and then east over the Minnisink Path through the Lorde’s valley to Minnisink. The Delaware river path went straight south through the ancient Indian towns of Cookhouse, Cochecton and Minnisink where it became the Minsi Path. (Map 5 Paul A. W. Wallace, Indian Paths of Pennsylvania (Harrisburg, Pa: Pennsylvania Historical and Museum Commission, 1965)). In 1675, after a decade of warfare between the Iroquois (mainly the Mohawk and Oneida) and the Andaste/Susquehannock, the Seneca finally succeeded in vanquishing their last remaining great enemy. (Parker at pp 49) Survivors were colonized in settlements along the Susquehanna river and were assimilated into the Seneca and Cayuga tribes (Folts at pp 31–47). In 1759, colonial records indicate that in order to have diplomatic success with the Munsees, negotiators had to speak with the Seneca. (Robert S. Grumet, “The Minnisink Settlements: Native American Identity and Society in the Munsee Heartland, 1650-1778.” In: the People of Minnisink, David Orr and Douglas Campana, Eds. (Philadelphia: National Park Service, 1991), p. 236. (Grumet cites the Colonial Records of Pennsylvania, 8: 416)) By the end of the eighteenth century, the Munsee’s who had previously migrated to the upper Susquehanna region were living in Seneca communities. On July 8, 1788, the Seneca (along with some Mohawk, Oneida, Onondaga, and Cayuga tribes) sold rights to land east of the Genesee River in New York to Oliver Phelps and Nathaniel Gorham of Massachusetts. On November 11, 1794, the Seneca (along with the other Haudenosaunee nations) signed the Treaty of Canandaigua with the United States, agreeing to peaceful relations. On September 15, 1797 at the Treaty of Big Tree, the Seneca sold their lands west of the Genesee River, retaining ten reservations for themselves. The sale opened up the rest of Western New York for settlement by European Americans. On January 15, 1838, the US and some Seneca leaders signed the Treaty of Buffalo Creek, by which the Seneca were to relocate to a tract of land west of the state of Missouri, but most refused to go. The majority of the Seneca in New York formed a modern elected government, the Seneca Nation of Indians, in 1848. The Tonawanda Band of Seneca Indians split off, choosing to keep a traditional form of tribal government. Both tribes are federally recognized in the United States. While it is not known exactly how many Seneca there are, approximately ten thousand Seneca live near Lake Erie. About 7,800 people are citizens of the Seneca Nation of Indians. These enrolled members live or work on five reservations in New York: theAllegany (which contains the city of Salamanca); the Cattaraugus near Gowanda, New York; the Buffalo Creek Territory located in downtown Buffalo, NY; the Niagara Falls Territory located in Niagara Falls, New York; and the Oil Springs Reservation, near Cuba, New York. Few Seneca reside at the Oil Springs, Buffalo Creek, or Niagara Territories due to the small amount of land at each. The last two territories are held and used specifically for gaming casinos. Another 1,200 or more people are citizens of the Tonawanda Band of Seneca Indians and live on the Tonawanda Reservation near Akron, New York. 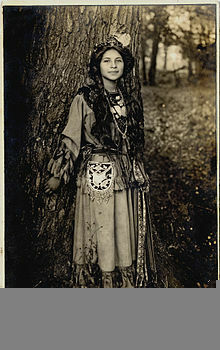 Other Seneca are members of the Seneca-Cayuga Tribe of Oklahoma who live near Miami, Oklahoma. Some 10,000 to 25,000 Seneca are citizens of Six Nations and reside on the Grand River Territory near Brantford, Ontario, Canada.They are descendants of Seneca who migrated to Canada after the American Revolution, where they were given land as allies of the British government. Other enrolled members of the Seneca Nation live throughout the United States. In 1990 the Seneca Settlement Act resolved a long-running land dispute between the Seneca and the State of New York. The dispute centered around 99–year leases granted by the Seneca in 1890 for lands now in the city of Salamanca and nearby villages. The settlement cropped up again in the early 2000s, as issues arose over use of settlement lands for casino gaming operations. On August 25, 1993, the Seneca filed suit in United States District Court to begin an action to reclaim land allegedly taken from it by New York without having gained required approval of the treaty by the United States government. The lands consisted of Grand Island and several smaller islands in the Niagara River. In November 1993, the Tonawanda Band of Seneca Indians moved to join the claim as a plaintiff; it was granted standing as a plaintiff. In 1998, the United States intervened in the lawsuits on behalf of the plaintiffs in the claim. This was to allow the claim to proceed against New York in light of its assertion of its immunity from suit under the Eleventh Amendment to the United States Constitution. After extensive negotiations and pre-trial procedures, all parties to the claim moved for judgment as a matter of law. By decision and order dated June 21, 2002, the trial court held that the Seneca ceded the subject lands to Great Britain in the 1764 treaties of peace after the French and Indian War (Seven Years' War). Thus the disputed lands were not owned by the Seneca at the time of the 1794 Treaty of Canandaigua. The court found that the state of New York's "purchase" of the lands from the Seneca in 1815 was intended to avoid conflict with them, but the state already owned it by virtue of Great Britain's defeat in the Revolution. The Seneca appealed this decision. The United States Court of Appeals for the Second Circuit affirmed the trial court's decision on September 9, 2004. The Senecas then sought review of this decision by the US Supreme Court. On June 5, 2006, the Court declined to hear the case. On April 18, 2007, the Seneca Nation laid claim to a stretch of Interstate 90 that crosses the Cattaraugus Reservation. They revoked their 1954 agreement that had granted the Interstate Highway System and New York State Thruway Authority permission to build the highway through the territory. The move was a direct shot at New York Governor Eliot Spitzer's attempts to collect taxes from businesses on Seneca territory. The Seneca had previously brought suit against the state on the same basis. That was decided in favor of the state based on its assertion of sovereign immunity. In Magistrate Heckman's "Report and Recommendation", it was noted that the State of New York asserted its immunity from suit against both counts of the complaint. One count was the Seneca Tribe's challenge regarding the state's acquisition of Grand Island and other smaller islands in the Niagara River, and the second count challenged the state's thruway easement. The United States was permitted to intervene on behalf of the Seneca Nation and the Tonawanda Band of Seneca Indians. The United States was directed to file an amended complaint that "clearly states the relief sought by the United States in this action." In this amended complaint, the United States did not seek any relief on behalf of the Seneca Nation relative to the thruway easement. By not seeking such relief in its amended complaint, the United States permitted the action relative to the thruway easement to be subject to dismissal based on New York's immunity from suit under the Eleventh Amendment to the US Constitution. On May 4, 2007, the Seneca Nation threatened to revoke its agreement of easement for Interstate 86. The Senecas have a diversified economy that relies on construction, communications, recreation, tourism, retail sales, and have recently become involved in the gaming industry. Several large construction companies are located on the Cattaraugus and Allegany Territories. There are also many smaller construction companies that are owned and operated by Seneca people. A considerable number of Seneca men work in some facet of the construction industry. Recreation is one component of Seneca enterprises. 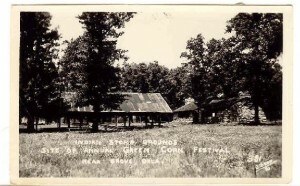 The Highbanks Campground (2013, closed and fallen into disrepair) played host to visitors every summer, as people take in the scenic vistas and enjoy the Allegheny Reservoir. Several thousand fishing licenses are sold each year to non-Seneca fishermen. Many of these customers are tourists to the region. Tourism in the area often comes as a direct result of several major highways adjacent to or on the Seneca Nation Territories that provide ready accessibility to local, regional and national traffic. Many tourists visit the region during the autumn for the fall foliage. A substantial portion of the Seneca economy revolves around retail sales. From gas stations, smokeshops, and sports apparel, candles and artwork to traditional crafts, the wide range of products for sale on Seneca Nation Territories reflect the diverse interest of Seneca Nation citizens. The price advantage of the Senecas' ability to sell tax-free gasoline and cigarettes has created a boom in their economy, including many service stations along the state highways that run through the reservations as well as many internet cigarette stores. This, however, has raised the ire of competing business interests and the state government. Non-Indian service stations cannot compete with Seneca prices because of New York's high cigarette and gasoline taxes. The state of New York believes that the tribe's sales of cigarettes by Internet are illegal. It also believes that the state has the authority to tax non-Indians who patronize Seneca businesses, a principle which the Senecas reject. Seneca President Barry Snyder has defended the price advantage as an issue of sovereignty. Secondly, he has cited the Treaty of Canandaigua andTreaty of Buffalo Creek as the basis of Senecas' exemption from collecting taxes on cigarettes to pay the state. The Appellate Division of the New York Supreme Court, Third Department rejected this conclusion. In that decision the court held that the provisions of the treaty regarding taxation was only with regard to property taxes. The New York Court of Appeals on December 1, 1994 affirmed the lower court's decision. The Senecas have refused to extend these benefits and price advantages to non-Indians, in their own words "has little sympathy for outsiders" who desire to do so, and have actively prosecuted non-Indians who have attempted to claim the price advantages Indians receive; one well-known case involved that of Little Valley businessman Lloyd Long, who operated two Uni-Marts on the reservation under the ownership of a Seneca woman, but was arrested by federal authorities at the behest of the Seneca Nation and eventually ordered to pay over one million dollars in restitution and serve five years on probation. In 1997, New York State attempted to enforce taxation of Indian gasoline and cigarettes. The attempt was thwarted after numerous Senecas protested by setting fire to tires and cutting off traffic to Interstate 90 and New York State Route 17 (the future Interstate 86). Former Attorney General Eliot Spitzer attempted to cut off the Seneca Tribe's internet cigarette sales. His office attempted to negotiate deals directly with credit card companies and delivery services to reject handling cigarette purchases by consumers. Another attempt at collecting taxes on gasoline and cigarettes sold to non-Indians was set to begin March 1, 2006; but it was tabled by the State Department of Taxation and Finance. Shortly after March 1, 2006, other parties began proceedings to compel the State of New York to enforce its tax laws on sales to non-Indians on Indian land. Seneca County, New York began a proceeding which was dismissed. Similarly, the New York State Association of Convenience Stores began a proceeding, which was also dismissed. Based on the dismissal of these proceedings, Daniel Warren, a member and officer ofUpstate Citizens for Equality, moved to vacate the judgment dismissing his 2002 state court action. The latter was dismissed because the court ruled that he had lack of standing. Governor David Paterson included $62 million of revenue in his budget from the proposed collection of these taxes. He signed a new law requiring that manufacturers and wholesalers swear under penalty of perjury that they are not selling untaxed cigarettes. In response to this, the Senecas announced plans to collect a toll from all who travel the length of I-90 that goes through their reservation. In 2007 the Senecas rescinded the agreement that permitted construction of the thruway and its attendant easement through their reservation. Some commentators have contended that this agreement was not necessary or moot because the United States was already granted free right of passage across the Senecas' land in the Treaty of Canandaigua. A law that would bar any tax-exempt organization in New York from receiving tax-free cigarettes went into effect June 21, 2011. The Seneca nation has repeatedly appealed the decision, continuing to do so as of June 2011, but has yet to overturn the law. The state has only enforced the law on cigarette brands produced by non-Indian companies (including all major national brands), having left brands that are entirely tribally produced and sold (which, being mostly lower-end and lower-cost brands, have always made up the bulk of Seneca cigarette sales) out of its jurisdiction for the time being. With the US Supreme Court decision ruling that Native Americans could establish gaming on reservations, the Seneca Nation began to develop its gambling industry during the late 1980s. It began, as states and other tribes did, with bingo. In 2002, the Seneca Nation of Indians signed a Gaming Compact with the State of New York to cooperate in the establishment of three class III gambling facilities (casinos). It established the Seneca Gaming Corporation to manage its operations. Currently the Seneca Nation of Indians owns and operates two casinos: one in Niagara Falls, New York called Seneca Niagara and the other in Salamanca called Seneca Allegany. Construction began on a third, the Seneca Buffalo Creek Casino, in downtown Buffalo. In 2007 the Seneca opened a temporary casino on its land in Buffalo after federal approval, to satisfy its agreement with the state. Some citizens have opposed all Indian gambling, but especially the Buffalo location. Additional controversy has been engendered because there were questions about whether the Seneca-controlled land met other status criteria for gambling. Some civic groups, including a "broad coalition of Buffalo's political, business, and cultural leaders", have opposed the Seneca Nation's establishment of a casino in Buffalo. They believe the operations will adversely affect the economic and social environment of the already struggling city. Opponents include the Upstate Citizens for Equality and Citizens for a Better Buffalo, who recently won a lawsuit challenging the legality of the proposed casino in Buffalo, because of the status of the land. On July 8, 2008, United States District Judge William M. Skretny issued a decision holding that the Seneca Buffalo Creek Casino is not on gaming-eligible lands. The National Indian Gaming Commission is reviewing proposed Seneca regulations and weighing its appeal options. The Seneca were given five days to respond or to face fines and a forced shutdown. They have indicated they refuse to comply with the commission's order and will appeal. Given the declining economic situation, in summer 2008 the Seneca halted construction on the new casino in Buffalo. In December 2008 they laid off 210 employees from the three casinos. The nation has established an official broadcasting arm, "Seneca Broadcasting," for the purposes of applying for and purchasing radio station licenses. The company currently owns one commercial FM radio station (broadcasting at 105.9 MHz) licensed to the village of Little Valley, which the company purchased from Randy Michaels in early 2009. That station, known as WGWE, signed on February 1, 2010 from studios in the city of Salamanca with a classic hits format operated by former WPIG disc jockey Mike "Smitty" Smith. An earlier application, for a noncommercial FM station at 89.3 in Irving, New York, ran into mutual exclusivity problems with out-of-town religious broadcasters. Many Seneca people are employed in the local economy of the region as professionals, including; lawyers, professors, physicians, police officers, teachers, social workers, nurses, and managers. Jump up^ Bruce E. Johansen (Fall 1995). "Dating the Iroquois Confederacy". Akwesasne Notes New Series 01 (03/04): 62–3. Retrieved 2010-05-23. Jump up^ Bruce E. Johansen; Mann, Barbara Alice (2000). "Ganondagan".Encyclopedia of the Haudenosaunee (Iroquois Confederacy). Greenwood Publishing Group. p. 105. ISBN 978-0-313-30880-2. Retrieved 2010-05-23. Jump up^ Parker, Arthur. The History of the Seneca Indians. Ira J. Freidman 1967; Empire State Historical Publications Series, XLIII, p. 13-20. Jump up^ McKeveley, Blake (January 1939). "Historic Aspects of the Phelps and Gorham Treaty of July 4–8, 1788". Rochester History(Rochester Public Library) 1 (1). ISSN 0035-7413. Retrieved 2008-01-05. Jump up^ "Birth of a Nation". Seneca Nation of Indians. 2013. Retrieved 2013-11-18. Jump up^ Bilharz, Joy Ann (1998). The Allegany Senecas and Kinzua Dam: forced relocation through two generations. Lincoln: University of Nebraska Press. p. 55. ISBN 0-8032-1282-8. Retrieved 2009-10-19. Jump up^ Chapman, Chris (2007-11-21). Local Man; Business Targets Of Multi Agency Raids. The Salamanca Press. Retrieved 2011-07-10. Jump up^ Cigarette sales scheme gets man 5 years’ probation. The Buffalo News (2011-07-09). Retrieved 2011-07-10. Jump up^ Gryta, Matt (2011-06-21). Setback spurs Senecas to top N.Y. appeal. The Buffalo News. Retrieved 2011-06-22. ^ Jump up to:a b Chapman, Chris. "Battle for Buffalo Creek: Notice of Violation doesn't change operations", Salamanca Press. The Seneca were the largest of the 5 tribes which comprised the Iroquois League or the Five Nations. Along with the Seneca, the Iroquois (Haudenosaunee) League includes the Oneida, Mohawk, Onondaga, and Cayuga. Later the Tuscarora, or "shirt wearing people" became the 6th Nation to join the confederacy, fleeing from British occupied North Carolina. Today, nearly 10,000 Seneca live on reservations in Western New York; the Cattargaurus, Allegany, and Tonawanda reservations, with some also settled in Oklahoma, and Ontario, Canada; they ore the only Nation to own a U.S. city, Salamanca, which is situated on land owned by the Allegany Indian reservation. At the time of the formation of the Iroquois League, the five tribes occupied territory from the East to the West, the Seneca being the "keepers of the western door". The official language of the Seneca is Ogwehoweh, in which their name translates to O-non-dowa-gah, or "great hill people. "; from which their creation myth said they had originated. The historical Seneca tribe occupied territory from the Genesee River to Canandaigua Lake in Western New York, living in long houses on the riverside. The sedentary tribe's villages were well fortified with wooden stake fences, just one of their many industrious undertakings. They relied heavily on agriculture for food, growing the three sisters: corn, squash, and beans, which they referred to as deohako, "the life supporters"; in addition to raising crops, the Seneca men would hunt in the Fall, and fish in the Spring. The Seneca were also great conquerors, highly skilled at warfare, and having been given guns by the Dutch colonists, were fierce adversaries to any other tribe who tried to resist their takeover. 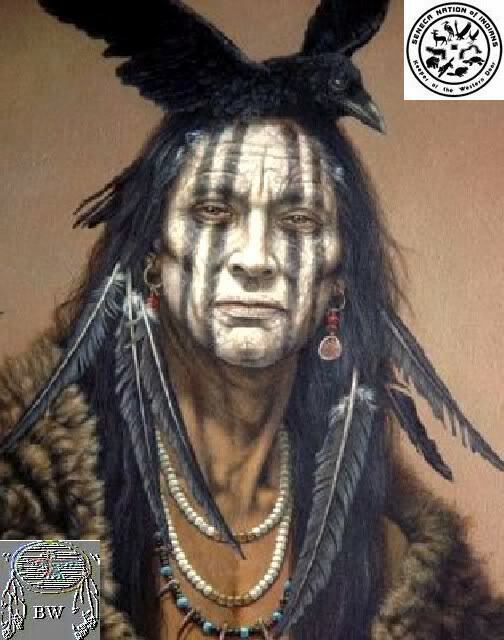 One of the distinctive features of the Iroquois warriors' appearance was their hair, which they kept shaved in "Mohawk" fashion, and their heavily tattooed bodies. Iroquois warriors were also believed to have participated in ritual cannibalism, and were also know to torture their prisoners. Ironically, Iroquois politics were the most sophisticated in all of the North-American Native cultures; the Seneca, with the exception of one tribe (The Tonawanda), having adopted a democratic form of government after years of questionable leadership by Chiefs who had come into their positions out of lineage rather than virtue. The Seneca women were in charge of elections, and decided who was to become tribal leader, Leaders usually held their posts for life, but could be removed if they became corrupt or proved to be incompetent; the Seneca political system also included a constitution, which is believed to have been the model for the American constitution. One of the Seneca's most important leaders was a man named "Red Jacket"; he was a great orator, and left us with many memorable quotes such as "Most powerful is he who has himself in his own power. The sun also shines on the wicked. ", and "It is another's fault if he be ungrateful; . "but it is mine if I do not give." 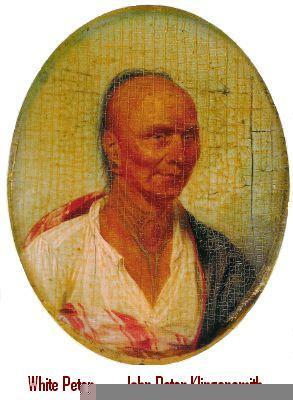 Red Jacket was a strong defender of the Seneca heritage, opposed to assimilation by the whites, especially with the missionaries who tried to impose Christianity on the Seneca. Despite his opposition to cultural assimilation, Red Jacket did want to live in peace with the whites, and even fought alongside the British during the American Revolutionary war. Red jacket was so named because he was given a red coat by one of the British officers he had served with. Because of his great skills as a speaker, Red Jacket served as official spokesman for the Iroquois League, and was instrumental in negotiation between them and the Americans after the war ended. This earned him the Seneca name Sagoyewatha meaning "He who keeps them awake." Red Jacket died of cholera on the Buffalo Creek reservation; a monument erected in his honor now stands in Buffalo, New York. Another Seneca tribe you will see mentioned are the Ohio Seneca. Although they did speak Ogwehoweh, they are not part of the Iroquois League, the reason being their joining the Algonquin Indian tribes, even going as far as fighting alongside them against some of the New York Iroquois, who had been persecuting them, trying to take over their villages. The Ohio Seneca were just a few of the many tribes who had been oppressed by the Iroquois, most had not been so lucky, having been taken over, and integrated into Iroquois society; a clever way of ensuring that the remnants of the tribes they had conquered would not rise up against them. Even though they would adopt new members into their fold, they would only offer partial membership, enforcing a cultural chain of command which would keep the newly integrated tribe members from feeling entirely comfortable. The Iroquois offered membership to several tribes including the Lenape, and the mighty Algonquin. "Know that we are eager to share our gifts, in the name of love. Kindness is a language the deaf can hear and the dumb can understand." The Seneca held the western frontier or "door" of the confederacy, their original territory lying between Seneca Lake and Genesee River, with four principal villages. By conquest and absorption of the Neutrals in 1651 and the Erie in 1656 they acquired possession of the country westward to Niagara River and Lake Erie and correspondingly increased their own strength. In 1656 one of their four towns was made up entirely of captives. More than a century later they had some thirty villages, including several on the upperAllegany. They took a prominent part in all the tribal and colonial wars waged by the confederacy up to the close of the Revolution, taking sides like the other allied tribes almost uniformly for the English, first against the French and later against theAmericans. The single exception was in 1763 when they suddenly rose against theEnglish troops newly established in their territory, surprising and destroying two entire detachments. Their country was wasted in 1687 by Denonville and again in 1779 by theAmerican General Sullivan, who destroyed nearly every village, cornfield, and orchard in their country, thus compelling them to peace. As a tribe they did not fly to Canada, as did the Mohawk and Cayuga in the English alliance, but remained in their own country, where they still reside on three reservations, Allegany, Cattaraugus, and Tonawanda, with a total population of 2735. About 220 more are, with others of the Six Nations, on the Grand River in Canada, while another 380 of a mixed band, formerly resident in Ohioand known as "Seneca of Sandusky", are now settled in north-eastern Oklahoma. These last appear to be really the descendants of early captives incorporated by the Seneca. The Seneca proportion among the 4000 or more Catholic Iroquois of the mission colonies of Caughnawaga, St. Regis, and Lake of Two Mountains, in Canada and northern New York, cannot be estimated, but is probably relatively less than that of the other tribes. The Seneca came later under Catholic influence than the other Iroquois. The firstconverts of their tribe were instructed by the Jesuit Fathers Ménard and Chaumonot, while on a journey to the Iroquois country in 1654. Two years later, on their own invitation, Father Chaumonot visited their country and was well received, organizing a temporary mission among the numerous Christian Huron captives. In 1663 a Seneca chief was baptized at Montreal, and shortly afterwards the tribe, which had been for several years at war with the French, asked for peace and missionary teachers. In November, 1668, Father Jacques Fremin dedicated the first mission chapel among theSeneca under the invocation of St. Michael, at Gandougarae (Kanagaro). In the next year Father Julien Garnier established Conception mission at Gandachiragou and began a dictionary of the language. In 1670 a third mission, dedicated to St. James, was begun by Father Pierre Raffeix in another town of the tribe. For a few years the missions flourished, in spite of more or less dangerous opposition from the heathen party, until the increasing drunkenness of the Iroquois towns and growing hostility towards theFrench (which latter was instigated by the English colonial Government) led to the determination to draw off the Christian Iroquois from the rest and colonize them in new mission towns along the St. Lawrence. As a result, several Christian Iroquois colonies were established, the earliest and most important being that now known asCaughnawaga, originally founded at Laprairie in 1669. Very few Christians were thus left among the confederates, but the missionaries remained among the Seneca until the eveof another general Iroquois war, in 1683, when they were ordered out by the hostiles. The leading event of this war was Denonville's invasion of the Seneca country in 1687. No Catholic work was subsequently attempted in the tribe, with the exception of a visit, in 1751, by the Sulpician Father Picquet, who drew off a number to his mission at Ogdensburg. The few Seneca on the Six Nations reserve in Ontario are underEpiscopalian influence. The Christian portion of those in New York are chiefly of theCongregational denomination, principally owing to the devoted efforts of the ReverendAsher Wright, who laboured among them over forty years (1831-75) until his death, mastering the language, in which he published a number of religious and educationalworks. The body of the tribe is still attached to its primitive paganism. A few of those inOklahoma are connected with the Catholic mission of St. Mary's at Quapaw. We are of the Hotinoshonni (People of the Longhouse) or also know as the Iroquois and or The Six Nations. We originally lived in and around the area today calledNew York; we also had villages throughout Pennsylvania, West Virginia, and Ohio. Through history not all of the Six Nations were relocated to Oklahoma. The Six Nations are starting from the east to west, Mohawk, Oneida, Onondaga, Cayuga, Seneca and the Tuscarora. During the Revolutionary War the Iroquois were located between the British and the American people. The Iroquois tried to remain neutral in this war because it was between those two nations and did not concern them. As time went on and the battles came closer and closer to our villages, it became very difficult to remain neutral and still protect our homes and our people. The leaders of the Iroquois came together in council, (there are 51 Chiefs among the Iroquois and they made up the council) it was decided in this council that each nation was free to join the war as they saw fit. This broke the peace within the Iroquois because some of the Nations wanted to fight for the Americans and some for the British. During this time there were a good number of people who wished to remain neutral and these people began to move westward into to the lands now called Pennsylvania and Ohio. Our people often had temporary villages in these areas before for hunting, trapping and fishing. Now they would become homes more on a permanent basis. At the close of the war a treaty of Peace was worked out between the Americans and the British the land was divided and all through the talks the Iroquois people were left out of the treaty negotiations. This in turn left the Iroquois people with a lot less land than before the war; both the Americans and the British began to claim ownership of all the land, the process of making Treaties with the Indian Nations and creating smaller Reservations for them to reside on escalated. 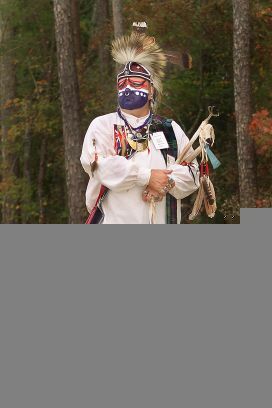 Known collectively as Mingo or as Seneca, they are the ancestors of today’s Seneca-Cayuga Tribe of Oklahoma. In 1817 the United States established two reservations for the Ohio “Seneca.” One was for the Seneca of Sandusky, a mingling of Cayuga, Mohawk, Onondaga, Oneida, Erie, Conestoga, and others, along the Sandusky River, and the second was for a consolidated band of Seneca and Shawnee at Lewistown. Although there were members from all the Six Nations within in these two groups they were called the Seneca of Sandusky and the Seneca–Shawnees of Lewistown. By this time the Cayuga Nation had been divided into three different factions, one group going to the Six Nations reserve (Oshweken) on Canada’s side another stayed in New York to live among the Seneca within the Cattaraugus Reserve, and the third group moved to reservation areas in Ohio joining their relations along the Sandusky River. In 1838 A treaty was made at Buffalo Creek in New York, this treaty was to remove all the remaining New York Indians to lands west of the Mississippi River this included what was left of the Cayuga in New York. Although the Treaty was made, the effort to remove all Tribal Nations from within the state of New York failed. Only a small faction actually moved to the reservation set aside within the State of Kansas, known as the Reservation for New York Indians. Many of the hardships encountered paid it tolls on them some removing back to reservations in New York and the remaining went north to the Wyandotte in Kansas and south to the Seneca Agency in Indian Territory. With the onset of the Civil War and despite the pro-Confederate stance of their leaders, most Seneca and Shawnee spent the Civil War years as refugees in Kansas among old friends and allies the Ottawa and Wyandotte Nations. At the close of the Civil War and the people returned to their own lands in Indian Territory to find their homes and farms in shambles and growing wild. In 1867 a treaty was made with the US government to separate the United Nation of Seneca and Shawnees, and reorganize into a single Seneca Tribe and the Shawnee became known as the Eastern Shawnee. Both surrendered lands that was divided to accommodate eight more tribes being moved to the area from Kansas. During the 1870s and early 1880s the Seneca received newcomers, including Cayuga, Mohawk, and Seneca proper, from Canada and New York, and had a population of roughly 255 in 1890. The Seneca Reservation was first allotted to 130 individuals in 1888; by 1902 a total of 372 allotments had been issued. In 1937 the U.S. passed the Indian Reorganization Act, at this time the “Seneca” and Cayuga people had decided to combine all their annuities and reorganize under this act to become the federally recognized Seneca-Cayuga Tribe of Oklahoma. The name “Seneca” had become the common name used to describe the Six Nation people relocated to the Indian Territory. The fact remains they are a mixed group of people, families from the original Six Nations (Mohawk, Oneida, Onondaga, Cayuga, Seneca and Tuscarora) including descendents of Erie, Conestoga, Tutelo and others adopted in from past wars, conflicts and intermarriages. Cayuga remains to be the more dominant lineage and identity including the language spoken within the Seneca-Cayuga Tribe in Indian territory. a: a·, á, aa a Like the a in father, only held longer. ä æ, ae æ Like the a in cat. ä: ä·, æ: æ Like the a in cat, only held longer. e: e·, é, ee e Like the a in gate, only held longer. i: i·, í, ii i Like the i in police, only held longer. o u o ~ u Like the o in note or the u in flute. o: o·, ú, oo o ~ u Like the o in note or the u in flute, only held longer. Bear in mind that Iroquoian languages use prefixes on their verbs, unlike Indo-European languages (which generally use suffixes). For example, all the Mohawk verbs start with "ra," "ron," "ro" or "ren" because those are the 3rd person singular prefixes in Mohawk. So if you're used to speaking English, French, or another European language, you may have to look closely for the verb roots. Here are some themed Seneca word lists we have put together and illustrated for language learners. Feel free to print them out for classroom purposes! In 1769, Philip Klingensmith established Fort Klingensmith, a defense against marauding Indians at what is now Jeannette, Penna., not far from the site of British Col. Bouquet's battle at Bushy Run in 1763, near present day Greensburg. Philip descended from a family that came to America in 1670 fleeing religious persecution from what is now Germany. He was one of the first white settlers to Westmoreland County, where he farmed and hunted to provide for his family. In 1781, during the American Revolution, the Seneca Indians who sided with the British, attacked Fort Klingensmith killing Philip, as well as about twenty-five other settlers. Philip's sons Casper, 16, and John Peter, 8, were taken by the Indians. Casper managed to escape and return home, but John Peter, due to his young age, did not. John Peter was taken to an area of upstate New York where he was raised by the Indians as an Iroqouis warrior. John Peter became proficient at hunting, fishing, tracking and other native skills. John Peter was eventually adopted into the Indian community, and for all intents and purposes was totally Indian. John Peter was a member of the Oneida Nation, one of the Six Nations of the Iroqouis Confederation loyal to the British. However, during the American Revolution, it was the Oneida who broke the "covenant chain" of the Iroqouis Confederation to bring much needed food to General George Washington's troops at the very cold winter encampment at Valley Forge (the Oneida are snubbed to this day by the rest of the Iroqouis for this deed). At seventeen years of age, John Peter married a Seneca woman named "Molly" (her white name). By the time he was in his mid twenties, John Peter was tribal chief of the Oneida, a distinction shared by no other white man to this date. He was delegate to the Iroqouis Council and a staunch advocate of peace. He was given the name "Good Peter" because of his wise leadership. During the War of 1812, Peter helped to defend Canada from the invasion of the United States. He helped to repel the American forces. His white family in western Penna., thinking him long dead, found out about his deeds in the War of 1812, and invited him to return to his home area to live among relatives. Questioned by his white relatives as to whether he was really Peter Klingensmith, he proved to his brothers and sisters that he indeed was John Peter, by pointing out many things that he remembered as a youth prior to his capture. By this time, Peter was totally Indian in appearance and in the manner in which he strode and conducted himself. He had trouble remembering his family's language, which was a combination of German and English. His head was shaved with only a scalplock in the back, and his earlobes had been cut and stretched in the Indian manner in order to be decorated with silver jewelry. All facial hair had been removed. His clothing was that of the Indians, as was his Seneca wife's clothing. They wrapped themselves in cloth trade blankets and wore some regalia made from trade cloth. Other clothing was traditional deer and elk hide leather garments. Peter farmed near present Delmont for a few years, but his relatives kept insisting that he rid himself of his Seneca wife, which he refused to do. After much hassle over his wife's Seneca heritage, he and his wife moved back to Canada, where they resided for many years. Peter died in 1855 at the age of 82, and he and his wife are buried in Ontario. White Peter, or "Good Peter", is my 4x great-grandfather, and his Seneca wife "Molly Indian", of course, is my 4x great-grandmother. I honor both of them. I also share heritage of the Shawnee, which is the tribal heritage of my mother. Shawnee territory was all of western Pennsylvania and eastern Ohio. We hold our annual "Klingensmith" family reunions between Bushy Run and Historic Hannastown. The names of many of the first white settlers to western Penna., as well as those of Indian descendants of White Peter and other tribes, now appear on the family rolls. The descendants of those, white settlers and Indian, who fought the sixty years (1754-1814) of bloody frontier warfare so long ago, are now all one family. This beaded skirt was made by Caroline Parker, a member of the Seneca Iroquois family headed by William Parker who acted as informants, consultants, interpreters, and friends to Lewis H. Morgan, who in the mid-nineteenth century brought together the first collections of ethnographic materials for what would become the New York State Museum. In 1849, Morgan acquired complete Seneca woman's and man's ceremonial costumes of the day, including this skirt. In the daguerreotype, Caroline Parker is shown wearing the woman's costume, consisting of beaded moccasins, leggings, skirt, overdress, blanket, and handbag, most if not all of which she herself had made. The dress style has many similarities to that of the larger New York community during the 1840s, but the beadwork, in particular, distinguishes it as Native American. (A non-Indian woman, for instance, would have worn lace-trimmed pantalettes instead of bead-trimmed leggings.) Later in the century, beaded bags and non-utilitarian "whimsies" sold to tourists at places like Niagara Falls became an important source of income for Iroquois women helping to support their families. By 1849, Caroline Parker at age 19 already was a highly skilled needlewoman. In his 1851 report to the Regents of the University, Morgan described a slightly more elaborate skirt by her as "without question the finest specimen of Indian beadwork ever exhibited," and went on to credit its maker by name, "to whose finished taste, and patient industry the State is indebted for most of the many beautiful specimens of beadwork embroidery now in the Indian collection." In 1850, the New York state legislature passed a bill, introduced by Morgan, to support Indian students at the State Normal School (a teachers' college) in Albany. Caroline Parker and her younger brother Newton were among the first enrollees under this program.